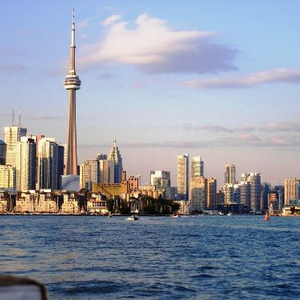 Turipo - Toronto vacation travel itinerary. 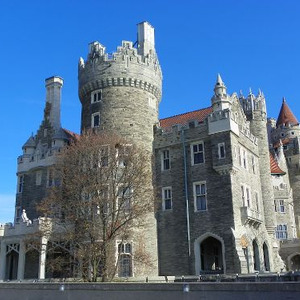 There are so many things to do in Toronto, the city was basically built for entertainment with new events and festivals happening almost constantly. 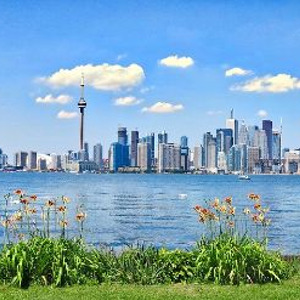 This Toronto travel guide will have you fully prepared for a short or long weekend Toronto trip. What to do in Toronto? 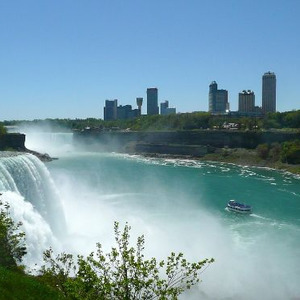 things to do in Toronto: Toronto maple leafs, Toronto blue jays, toronto huskies, toronto zoo, cn tower, Ripley's Aquarium of Canada, toronto, day trip from toronto to niagara falls, downtown toronto, toronto restaurants. 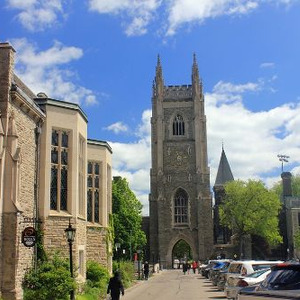 Description: There are so many things to do in Toronto, the city was basically built for entertainment with new events and festivals happening almost constantly. 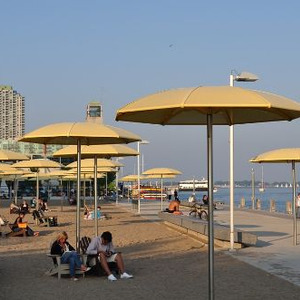 This Toronto travel guide will have you fully prepared for a short or long weekend Toronto trip. 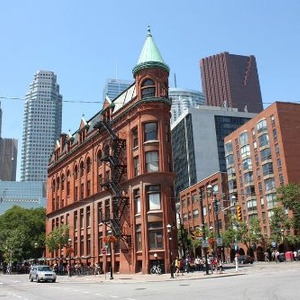 What to do in Toronto? 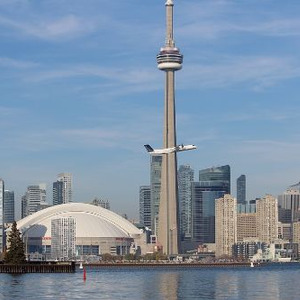 things to do in Toronto: Toronto maple leafs, Toronto blue jays, toronto huskies, toronto zoo, cn tower, Ripley's Aquarium of Canada, toronto, day trip from toronto to niagara falls, downtown toronto, toronto restaurants. Day's description: You can have breakfast and then pack a couple of picnic food items for the centre island. There are also café’s there that have burgers, hotdogs etc. 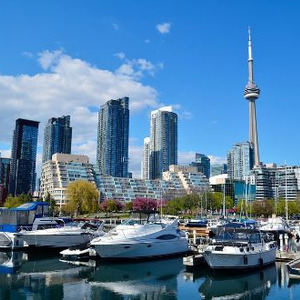 Take the ferry from Queen’s Quay Terminal to the Centre Island. 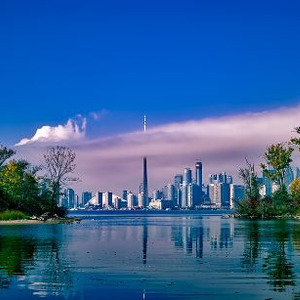 From the island you will see the spectacular view of the Toronto Skyline, your children can also enjoy the centreville theme park. Great food especially poutine, also nice patio and views overlooking the water. Just a short walk from the harbour is the CN Tower. The ticket to go to the top of the tower are 25$, I personally recommend just making dinner reservations at the restaurant at the top 360, see link below. If you do not get drinks it is about $30 per person including the ride up. So in that money you get a trip up to the tower and also food. The CN Tower is a 553.3 m-high concrete communications and observation tower located in Downtown Toronto, Ontario, Canada. Built on the former Railway Lands, it was completed in 1976. 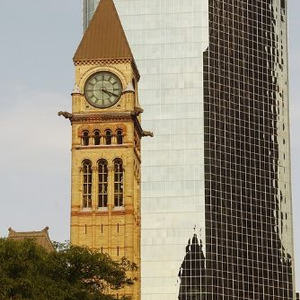 Its name "CN" originally referred to Canadian National, the railway company that built the tower. 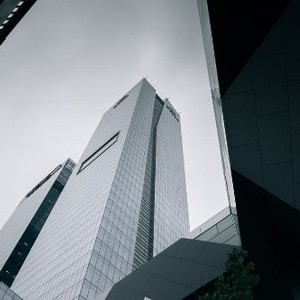 Following the more.. railway's decision to divest non-core freight railway assets prior to the company's privatization in 1995, it transferred the tower to the Canada Lands Company, a federal Crown corporation responsible for real estate development. 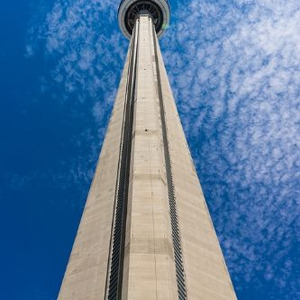 The CN Tower held the record for the world's tallest free-standing structure for 32 years until 2007 and was the world's tallest tower until 2009 being overtaken by Burj Khalifa and Canton Tower, respectively. 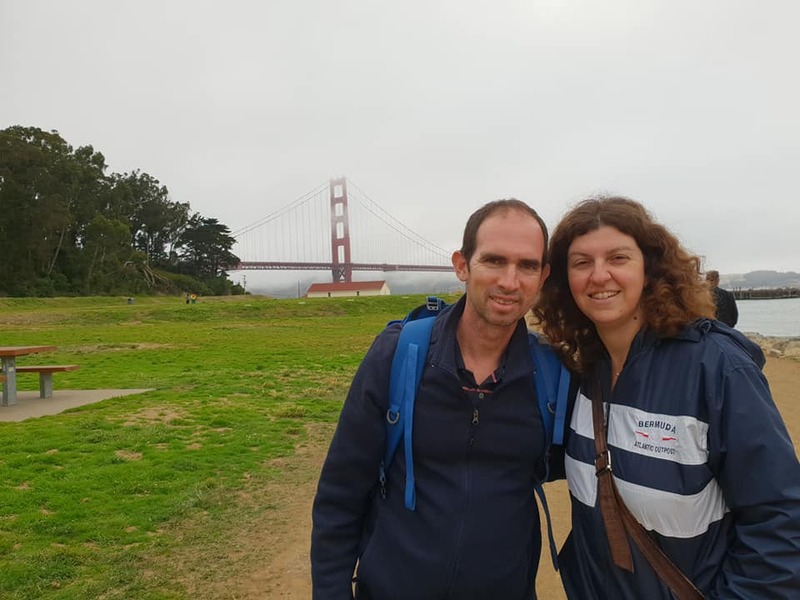 It is now the ninth tallest tower in the world and remains the tallest free-standing structure in the Western Hemisphere. In 1995, the CN Tower was declared one of the modern Seven Wonders of the World by the American Society of Civil Engineers. 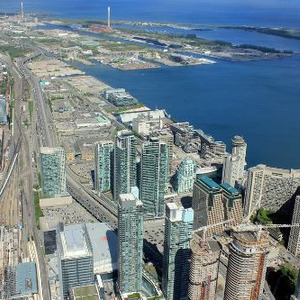 It also belongs to the World Federation of Great Towers.It is a signature icon of Toronto's skyline, and attracts more than two million international visitors annually. less..
Ripley's Aquarium of Canada is a public aquarium in Toronto, Ontario, Canada. The aquarium is one of three aquariums owned and operated by Ripley Entertainment. 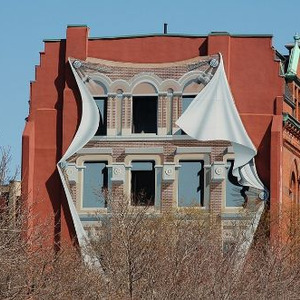 It is located in downtown Toronto, just southeast of the CN Tower. 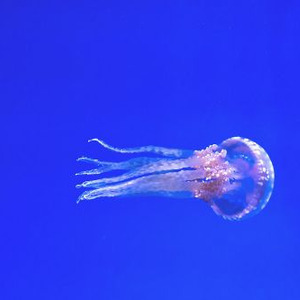 The aquarium features several aquatic exhibits including a walk-through more.. tank. The aquarium has 5.7 million litresof marine and freshwater habitats from across the world. The exhibits hold 13,500 exotic sea and freshwater specimens from more than 450 species. less.. Your kids will love walking around the historic city hall and also take pictures at the TORONTO SIGN. The Toronto Maple Leafs are a professional ice hockey team based in Toronto, Ontario. They are members of the Atlantic Division of the Eastern Conference of the National Hockey League. The club is owned by Maple Leaf Sports & Entertainment, Ltd. and are represented by Chairman Larry Tanenbaum. With more.. an estimated value of US $1.4 billion in 2017 according to Forbes, the Maple Leafs are the second most valuable franchise in the NHL, after the New York Rangers. The Maple Leafs' broadcasting rights are split between BCE Inc. and Rogers Communications. For their first 14 seasons, the club played their home games at the Mutual Street Arena, before moving to Maple Leaf Gardens in 1931. The Maple Leafs moved to their present home, Scotiabank Arena in February 1999. The club was founded in 1917, operating simply as Toronto and known then as the Toronto Arenas. Under new ownership, the club was renamed the Toronto St. Patricks in 1919. In 1927 the club was purchased by Conn Smythe and renamed the Maple Leafs. A member of the "Original Six", the club was one of six NHL teams to have endured through the period of League retrenchment during the Great Depression. The club has won thirteen Stanley Cup championships, second only to the 24 championships of the Montreal Canadiens. The Maple Leafs history includes two recognized dynasties, from 1947 to 1951; and from 1962 to 1967. Winning their last championship in 1967, the Maple Leafs' 50-season drought between championships is the longest current drought in the NHL. The Maple Leafs have developed rivalries with three NHL franchises, the Detroit Red Wings, the Montreal Canadiens, and the Ottawa Senators. The Maple Leafs have retired the use of thirteen numbers in honour of nineteen players. In addition, a number of individuals who hold an association with the club have been inducted in the Hockey Hall of Fame. The Maple Leafs are presently affiliated with two minor league teams, the Toronto Marlies of the American Hockey League, and the Newfoundland Growlers of the ECHL. 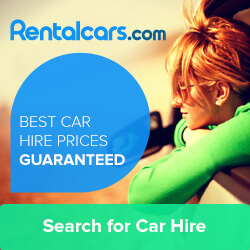 less..
– Where ever you are staying take the street car or subway to just ask where the china town is. Walk around explore the strange shops, and have dim sum at Rol San. Very famous legendary all day sim sum. Stroll around Kensington market, explore the different shops, street vendors.Make your you take your kids to daango pastry lab.